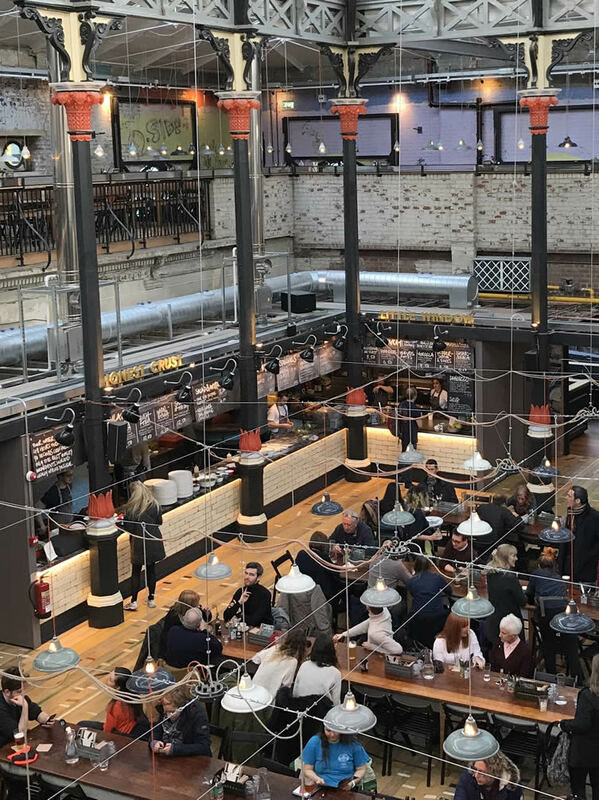 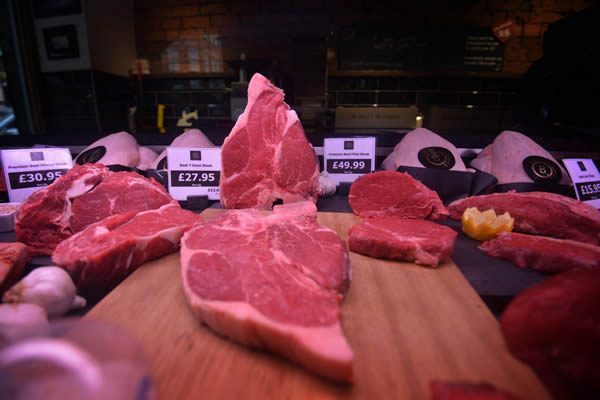 Long neglected, a Grade II listed meat market on the edge of Manchester’s Northern Quarter recently reopened its doors as an independent food hall in the vein of Copenhagen’s Paper Island and the Time Out Market, Lisbon. 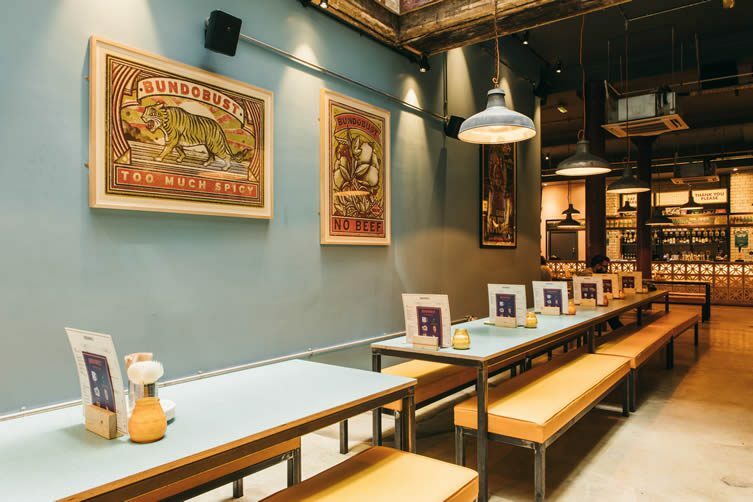 And it’s here at Mackie Mayor where we meet the two minds behind Indian street food and craft beer powerhouse, Bundobust; Mark Husak and Mayur Patel running humbly through their success story as contemporaries and peers from the indie food scene stop and say hi. 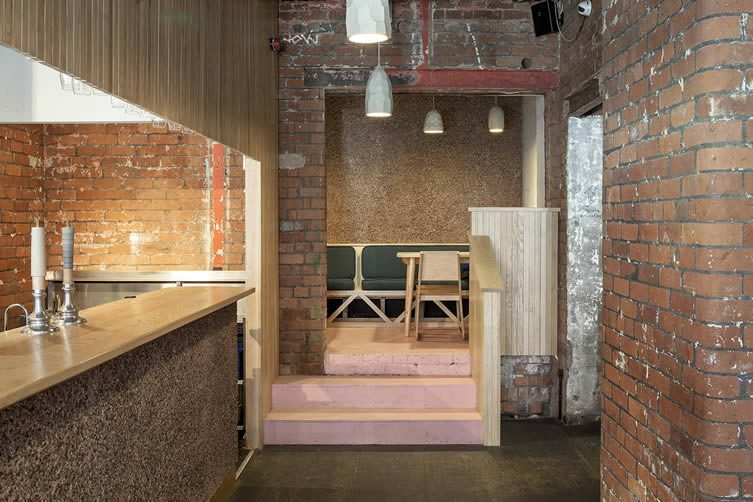 It’s this connection to their local communities that typifies exactly what the Bundo boys are about — honest and unfussy, the duo have just celebrated their first successful year in Manchester and are gearing up for their forthcoming Liverpool restaurant, but are just as happy talking about other players on their city’s independent food scene. 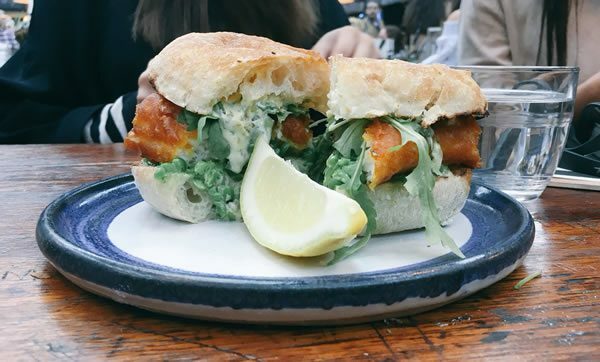 Tucking into a fish finger butty of Herculean proportions from sustainable fish bar FIN, it’s clear to see that Husak and Patel aren’t just happy to be part of a bigger picture, that bigger picture is what drives them. 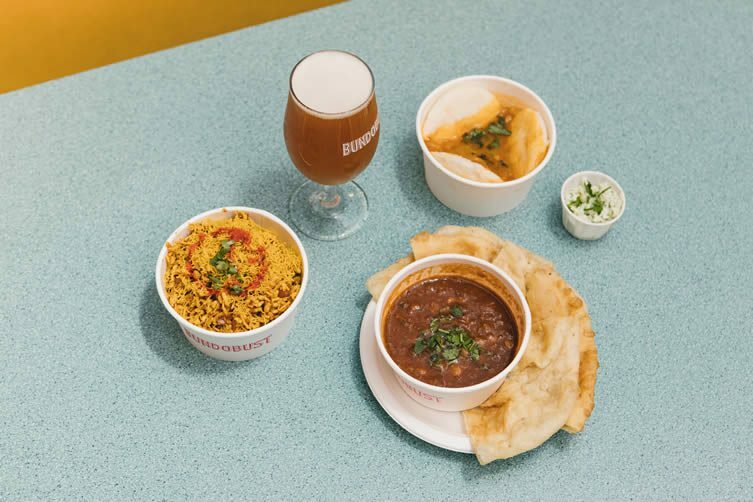 The Bundobust story starts several years ago, Husak (of Bradford craft beer bar, Sparrow Bier Café) and Patel (a fellow Bradfordian and part of the family behind the city’s revered Indian restaurant Prashad) taking a potential beer and curry pairing night at the Sparrow quite a few steps further. 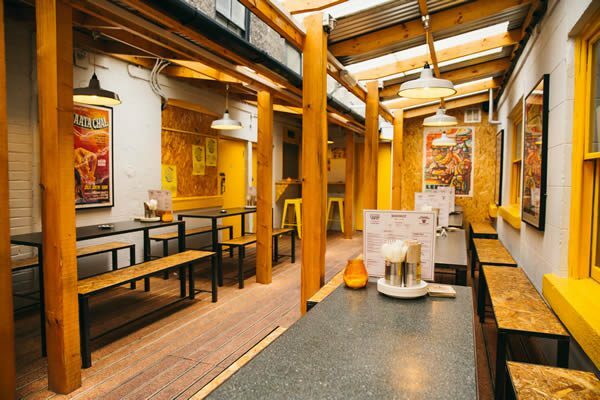 Using pop-ups and kitchen takeovers to help fund and raise awareness for their project, the collaboration became a physical reality when Bundobust opened its doors on Leeds’s Mill Hill in the summer of 2014. 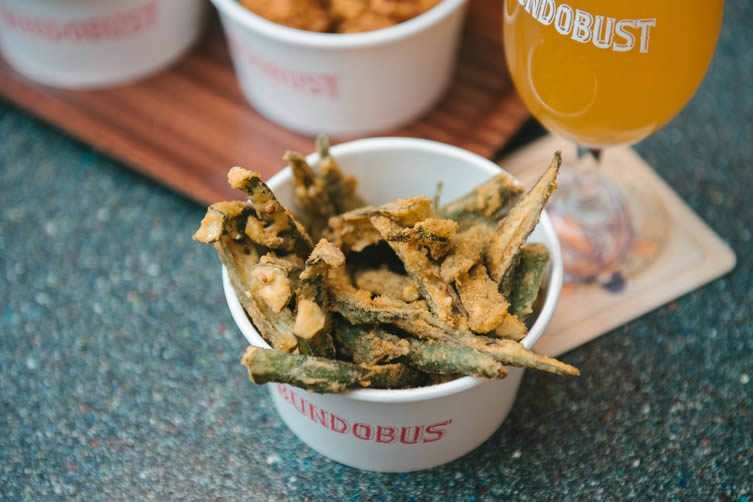 Named after a Hindi term for an ‘arrangement’, this coming together is a concept as honest and unfussy as the chaps themselves, and has been a runaway success; riding high on the waves that the north of England’s buoyant craft beer scene has carved. 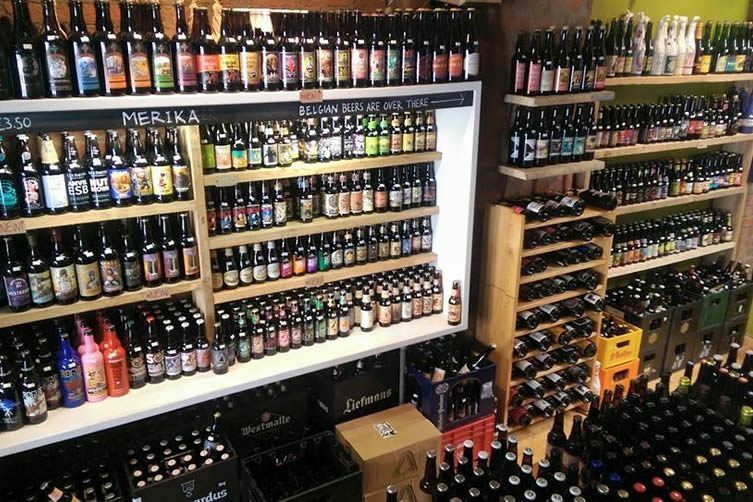 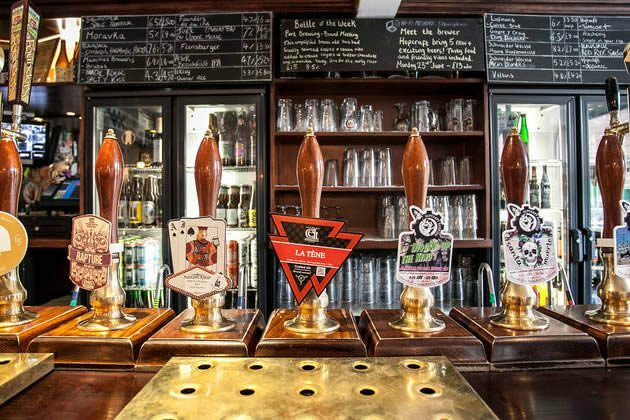 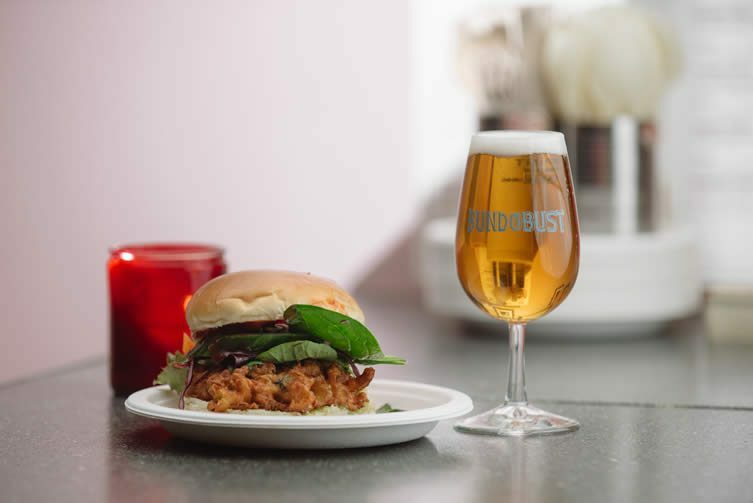 With breweries like Manchester’s Cloudwater, Northern Monk in Leeds, and Huddersfield’s Magic Rock making a name for themselves internationally, the north is enjoying quite the moment in the sun — complementing those craft brews with flavoursome vegetarian food informed by Mayur Patel’s family heritage, Bundobust’s success story might be a case of ‘right place, right time’ but, as iconic food critic Jay Rayner will contest, there is plenty of substance to back up their concept. 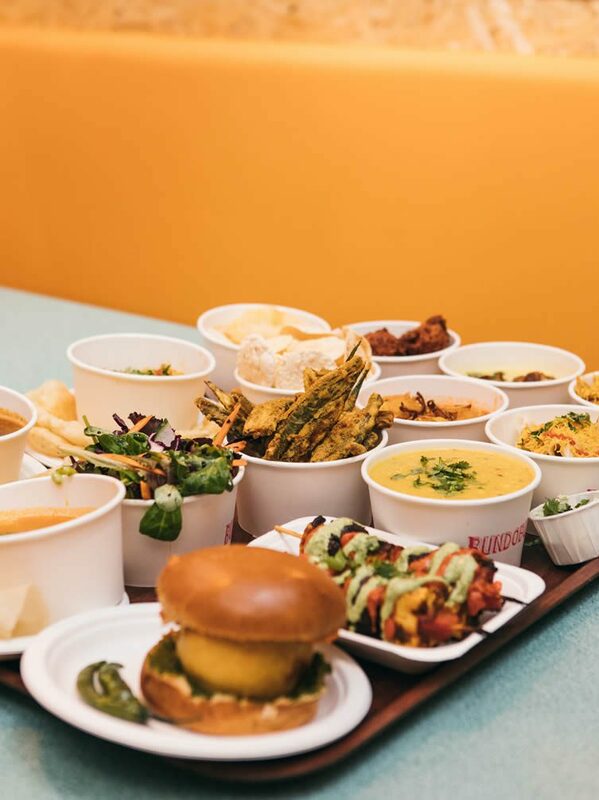 Bundobust Manchester: Mark Husak and Mayur Patel manage the interior design concepts of each restaurant themselves, citing budget constraints as inspiration for their aesthetic and insisting that, although a core style will remain, it’s important each location has its own identity. 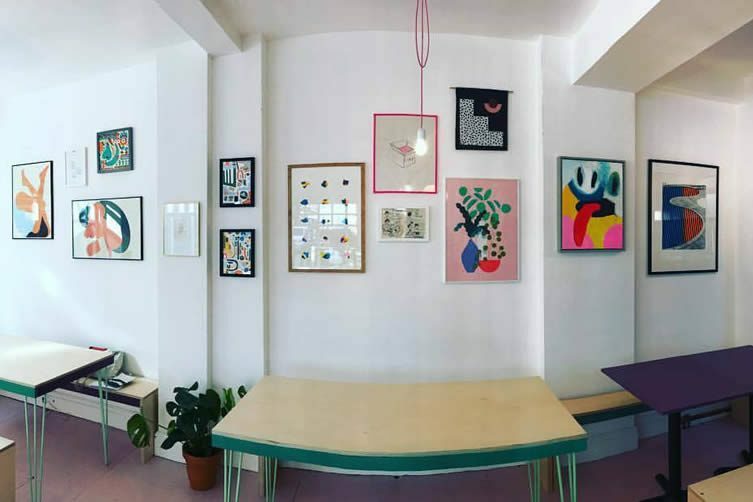 The duo have a longterm collaboration with illustrator Drew Millward. 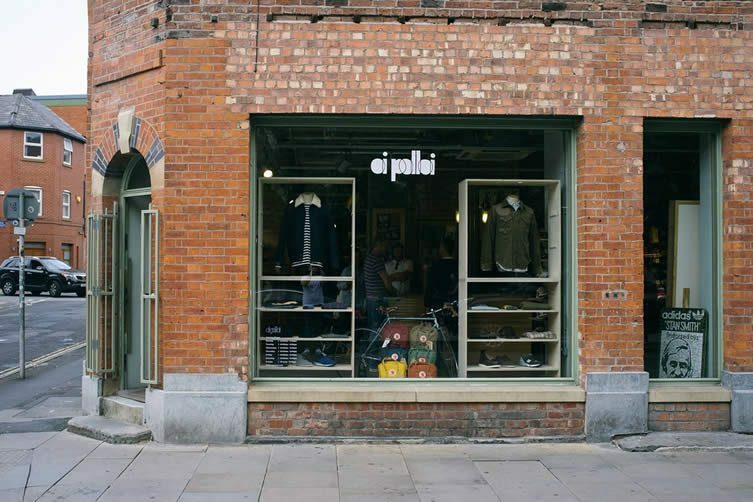 The duo seem as pleased with the recognition for their concept and cuisine as they do the bums on seats that a review like this inevitably drives — and Patel’s passion for innovation is clear; the duo’s Liverpool opening (slated for next summer) will house a development kitchen from which the chef and his team will devise dishes like their biryani bhaji balls (arancini meets biryani) and chickpea-battered okra fries with mango powder. 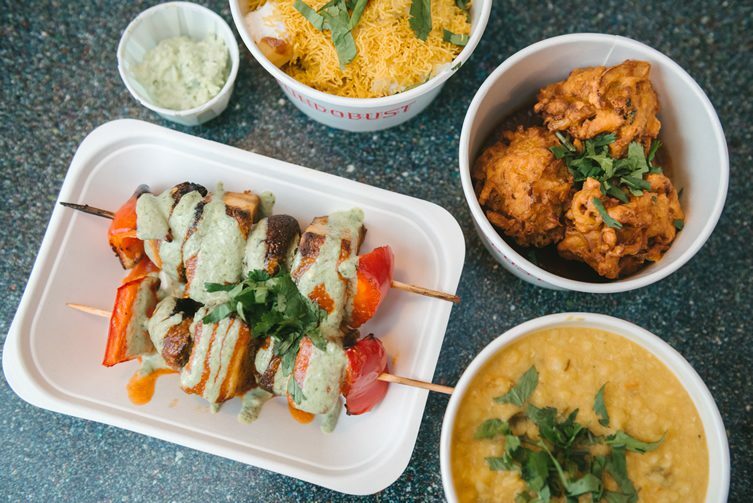 “It is one of a kind,” continues an enthused Jay Rayner, “but if there isn’t a Bundobust like this in every university town across the north of England within three years I’ll be very surprised.” As Mark and Mayur share plans for developing an express content — small units that could operate from from food fairs to train stations — it’s clear that there’s burning ambition behind this relaxed demeanour; there is no sense that Liverpool will represent a full stop, and Mr Rayner is unlikely to be too surprised by their aspirations. 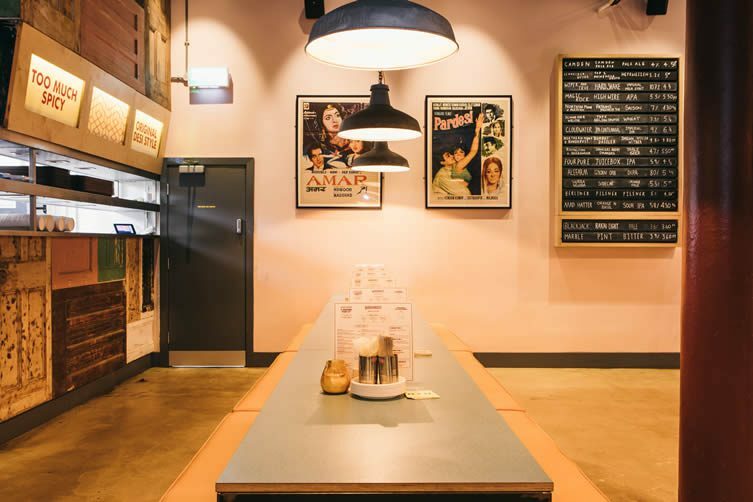 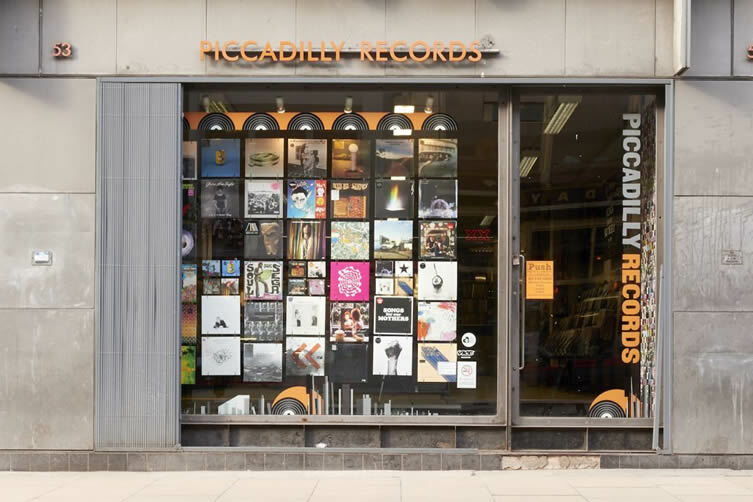 Conversation runs from curry to natural wine, the parallels between independent enterprise in Leeds and Manchester, celebrity diners (“they’re just people at the end of the day, aren’t they”) and collaborations. 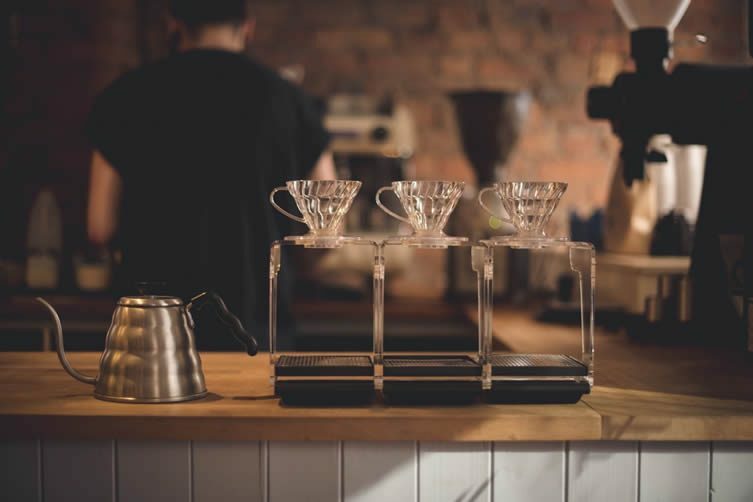 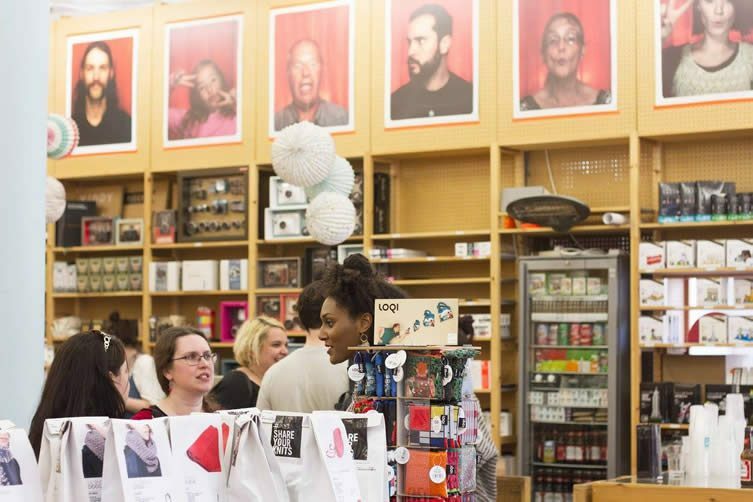 Once again, the duo are as happy bigging-up others as they are talking about themselves; such are the close-knit communities that surround their business. 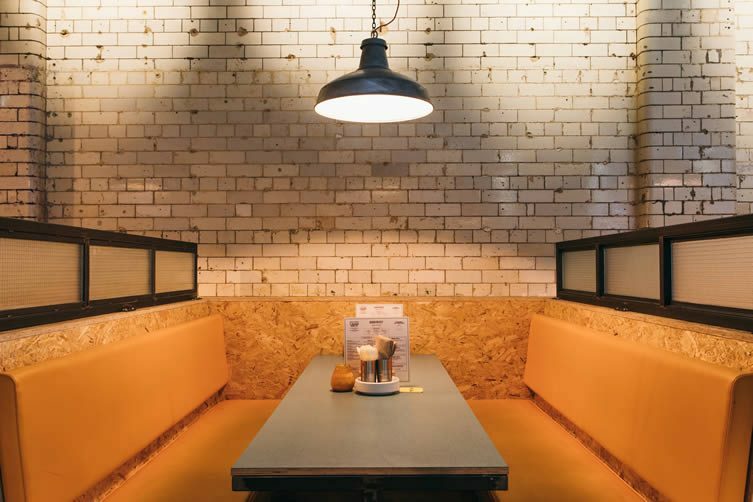 Iwan Roberts and Lucy Jackson’s Blawd bakery (whose first café, Siop/Shop, has recently opened); the Chorlton Brewing Company; art and craft suppliers, and NQ stalwart, Fred Aldous; Piccadilly Records and craft beer aficionados like Beermoth and Port Street Beer House … it’s clear to see the pride Husak and Patel have in being a piece of a Northern Quarter that is as inspiring today as ever.